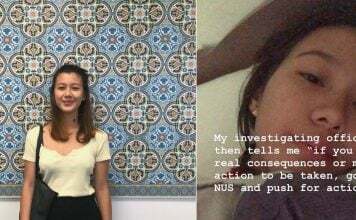 If you have friends who think your house at Sembawang is way too ulu for their liking, show them this article so they can eat their words for breakfast. 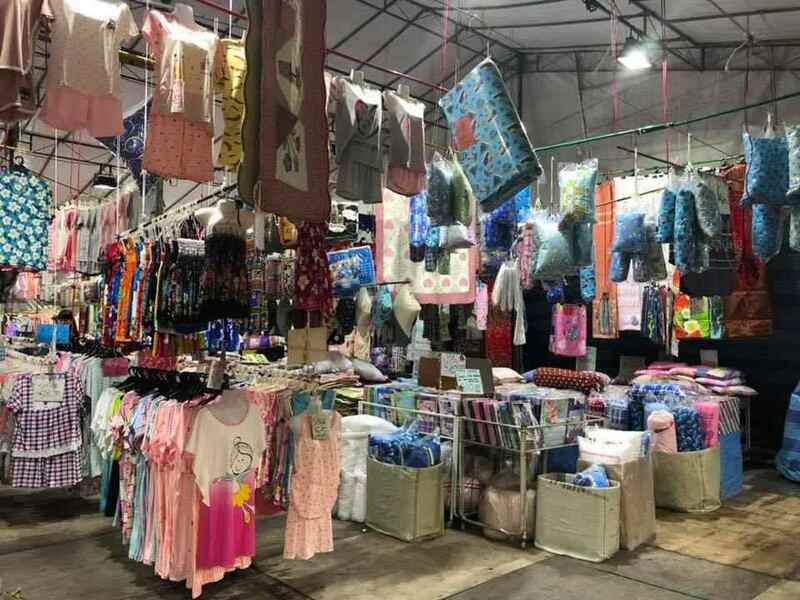 MS News understands there’s a massive pasar malam just opposite Sun Plaza in Admiralty featuring Uncle Ringo rides and tons of specialty food like Fried Oreos, Souffle Pancakes and Taiwanese Grilled King Mushrooms, running till 25 Dec 2018. 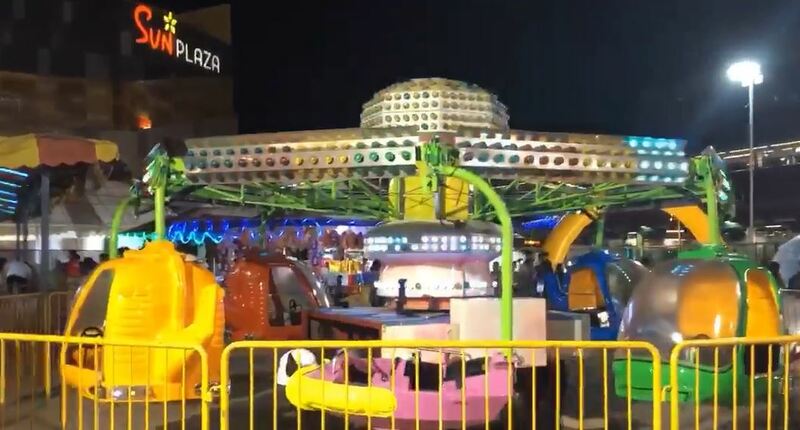 Watch the teaser clip posted by Singapore Night Bazaar here on what to expect. 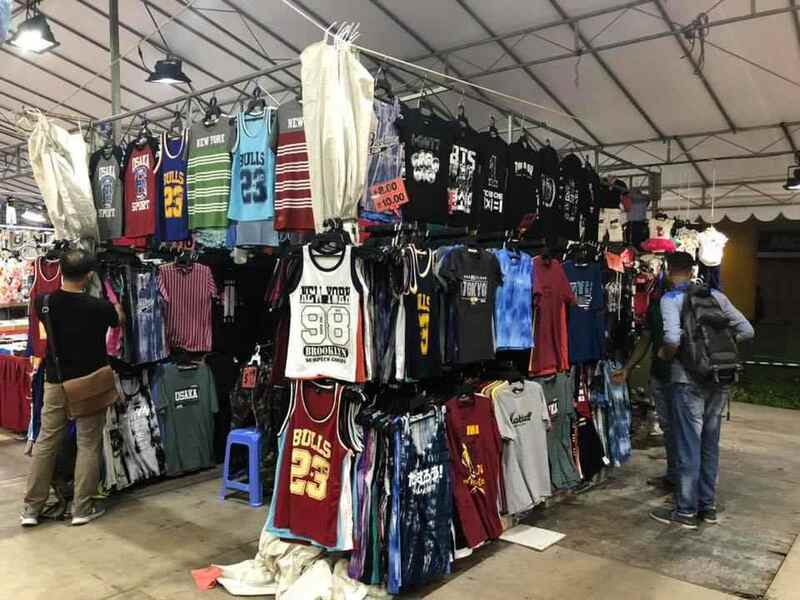 Expect typical pasar malam stores hawking all the budget clothing you’ll need for the new year. 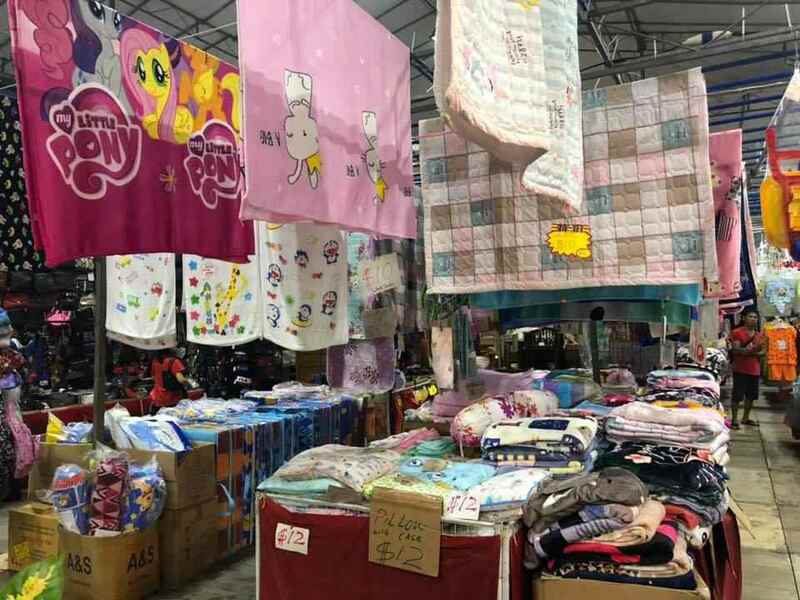 Affordable blankets and quilts in popular cartoon prints will also keep your kids snuggly and help tide your family over Singapore’s winter spell. 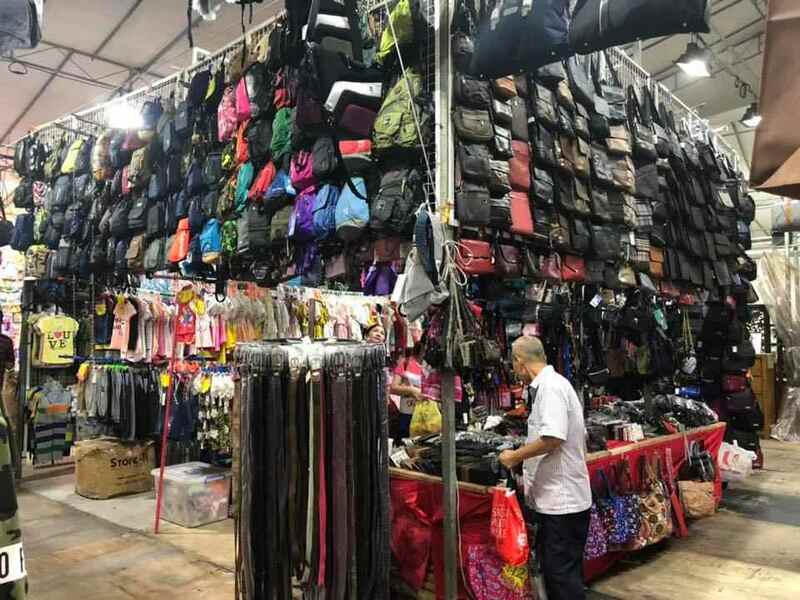 Those with neighbourhood beng vibes who are looking for a new smoker-style sling bag will be spoilt for choice. 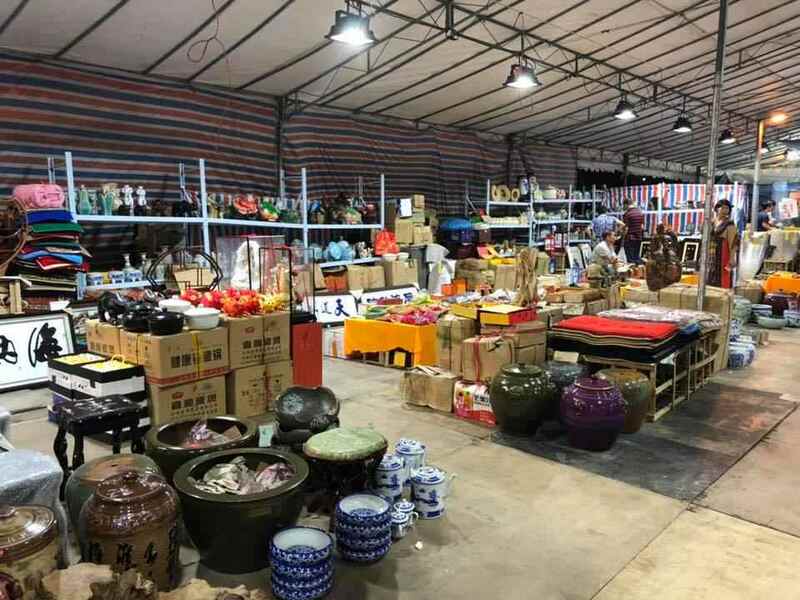 Household knick knacks and accessories will also be sold. We’d recommend you get at least 2 nail clippers as a backup. Girls who favour batik prints will also love these comfy looking one-piece dresses. If you can’t afford a Bali getaway, the next best alternative will be to don one of them and head to Sentosa. 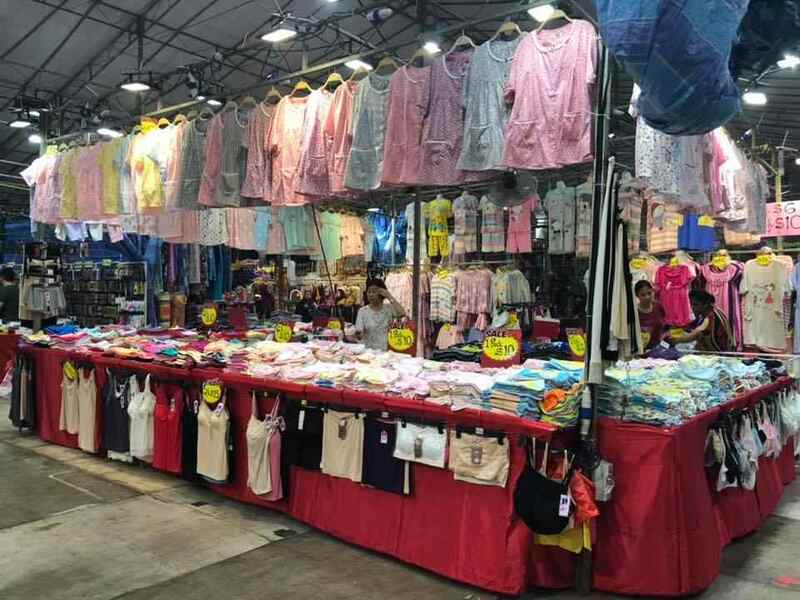 The best part about buying budget inner wear and pajamas from pasar malam aunties is that they’ll never judge you no matter how modest your chest size is. Everything’s free size here. 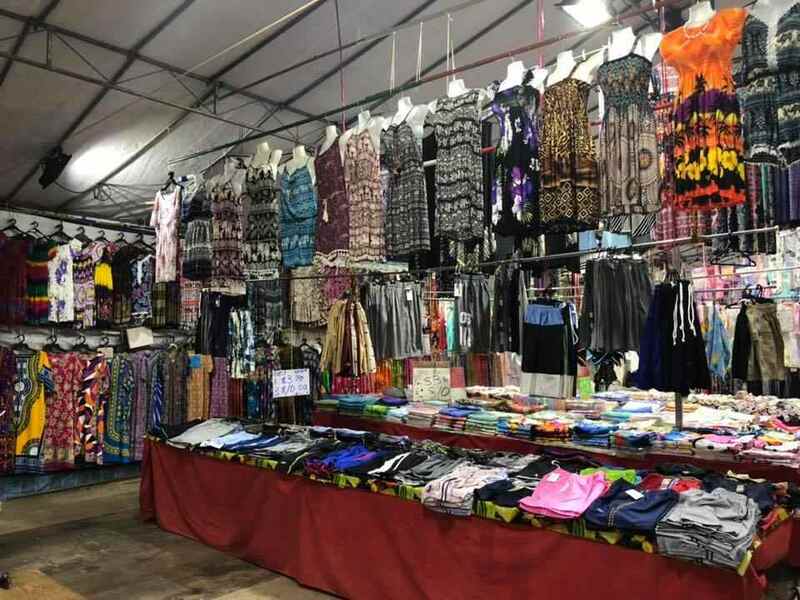 They’ll also be hosting an antiquities market reminiscent of Sungei Road’s street stalls here, so do pop by even just to relive the good ol’ days. 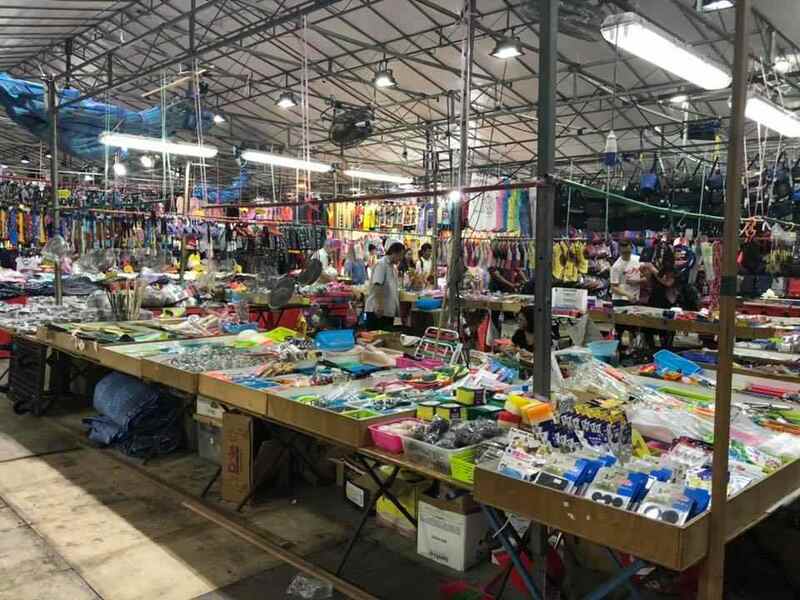 Pasar malams these days are playing host to an influx of next-gen hawkers who fly in fantastic new treats from around the world. 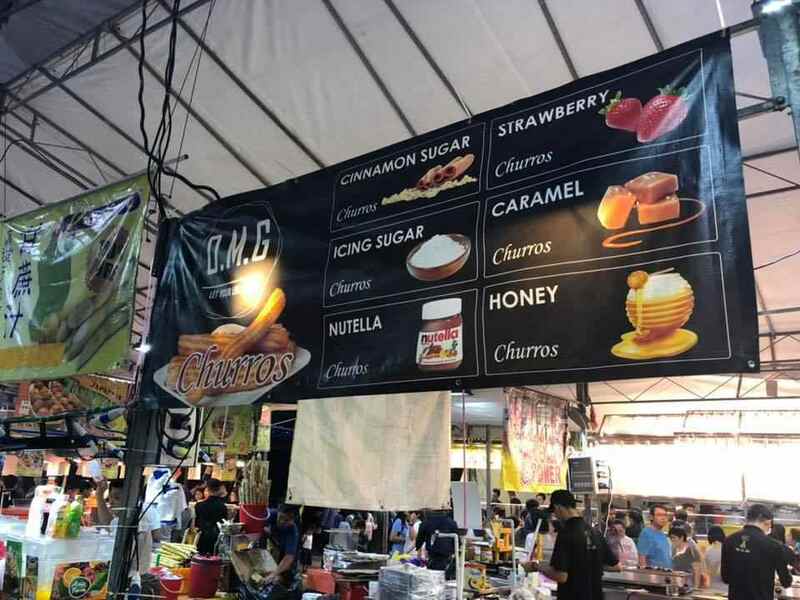 You’ll get to try all these delectable treats for pasar malam prices. 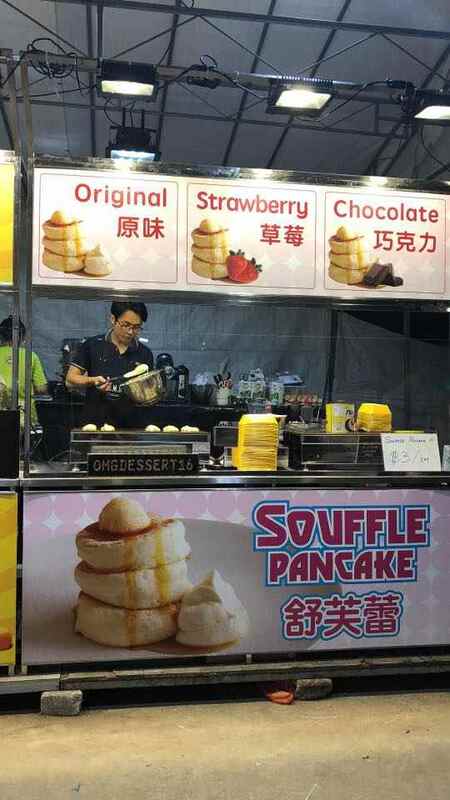 We’d make a beeline for these extra thicc and fluffy Souffle Pancakes from Japan. 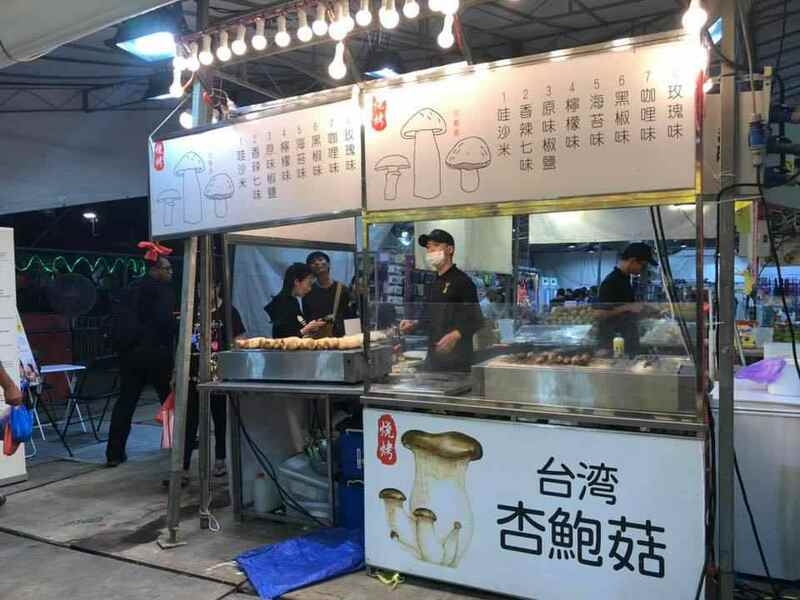 And head straight to the Grilled King Mushrooms booth all the way from Taiwan. Be sure to stand there and gawk at the chef who will lovingly slather on delicious brown sauce on each individual mushroom slow-roasting on the grill. 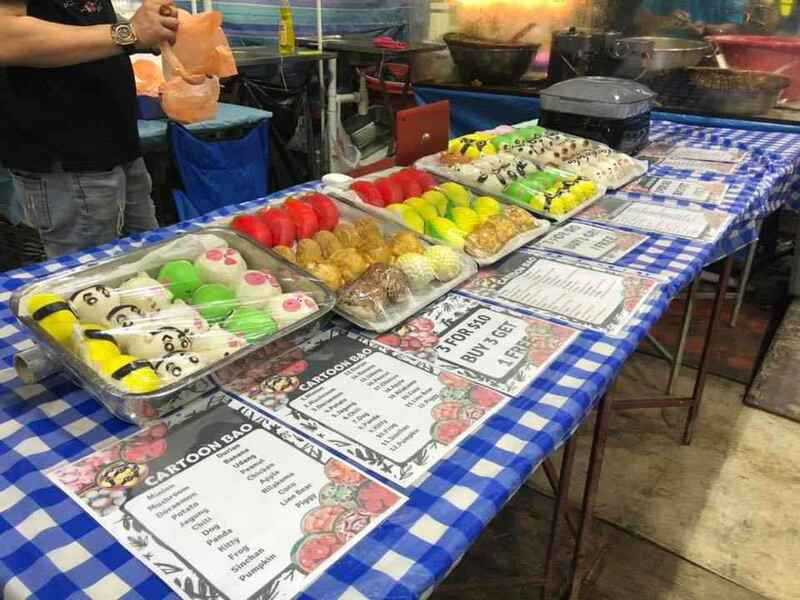 Cartoon baos will also be an adorable surprise for the little ones’ breakfast. 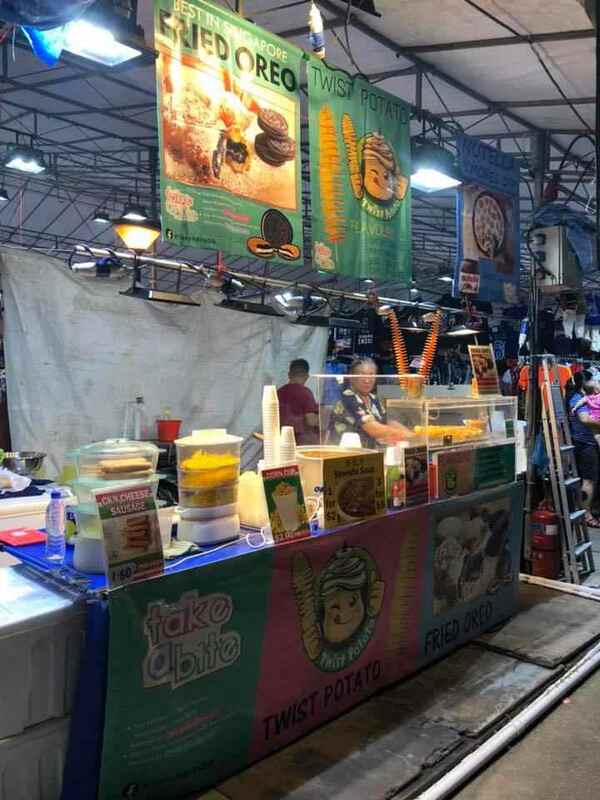 Familiar snacks like Potato Chip Twisters, Fried Oreos and Churros are a safe alternative for the less adventurous folk. 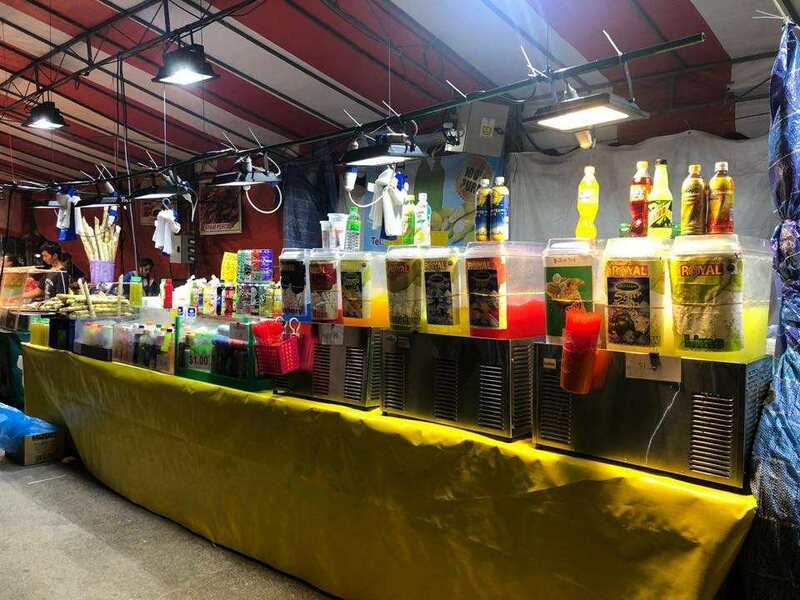 After indulging in far too much fried food and savoury snacks, quench your thirst with good ol’ syrupy drinks. Just one cup per day of course, or our Ministry of Health may not approve. 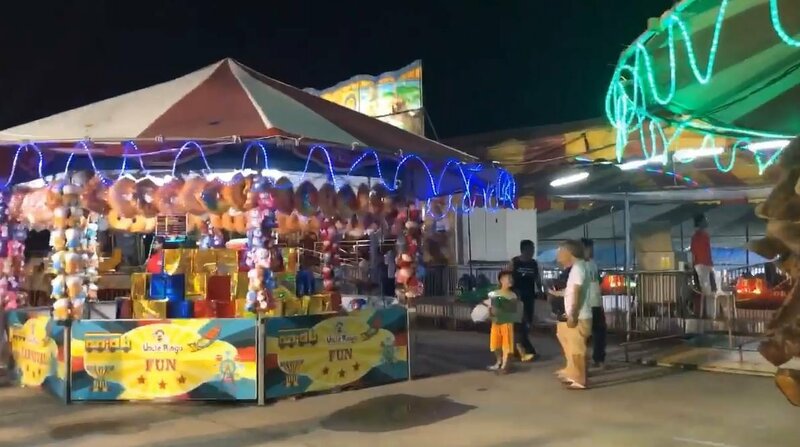 Self-professed durian-lovers must make a final pitstop at the durian stall. 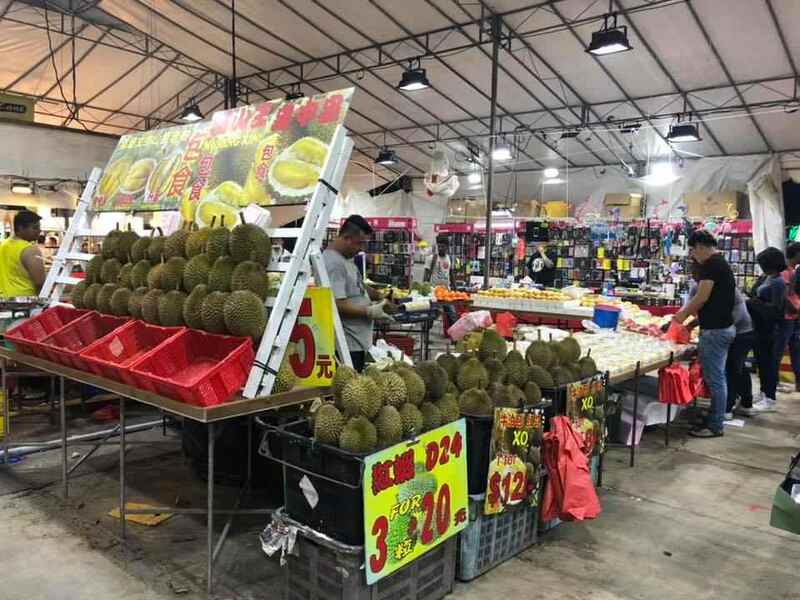 You can dabao 3 entire D24 durians for just $20, and XO durians for only $12. 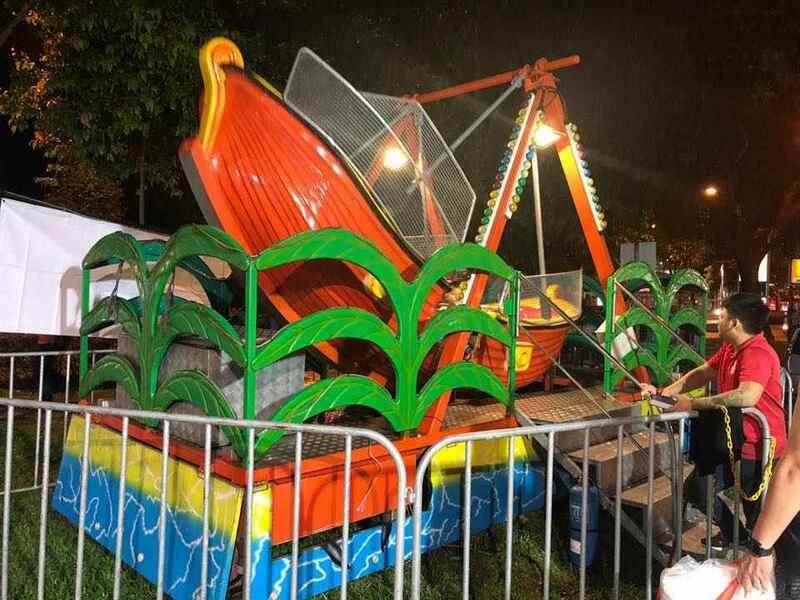 From mini-Viking ships to bumper cars and a baby Ferris Wheel, expect loads of exciting rides for the kiddos at the funfair. 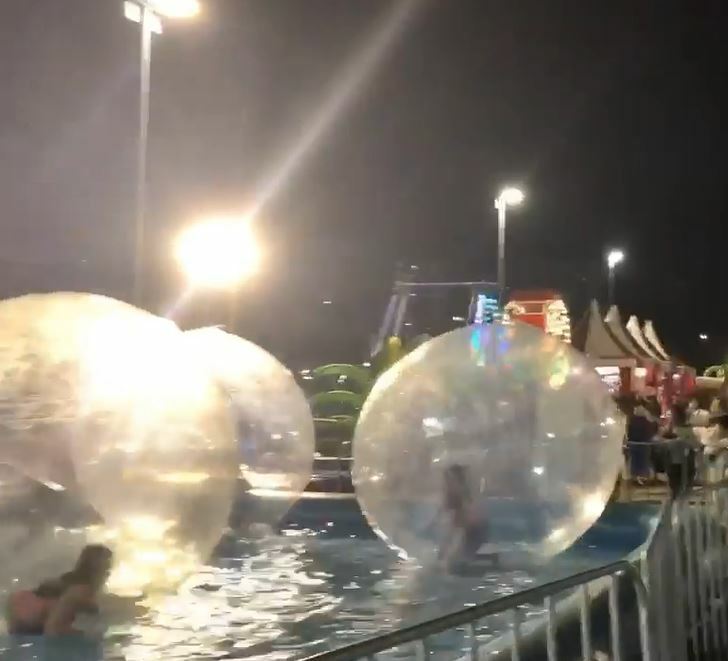 We also spotted delighted children housed in Zorb balls splashing around in a kiddy pool in the video. 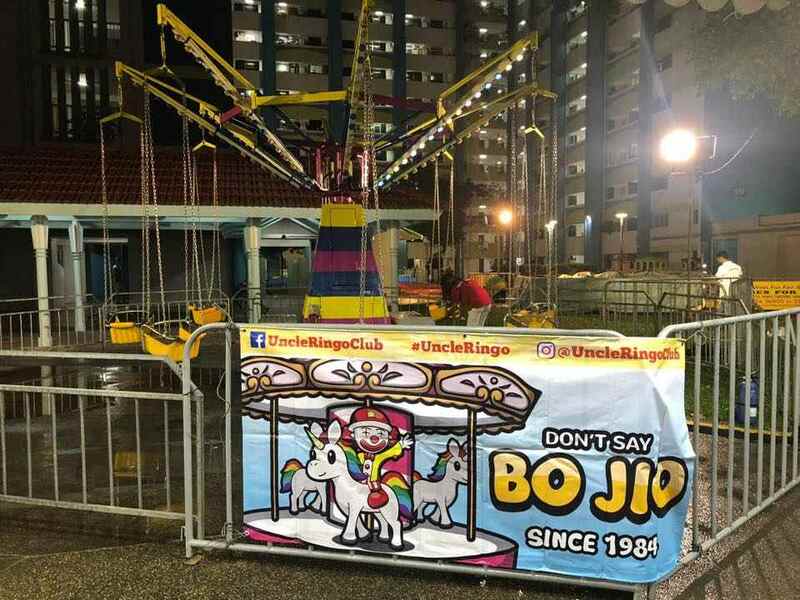 If we were living at those HDB blocks opposite, we’d enjoy the sight of little kids having the time of their lives on these suspended swings. The shrill squeals of delight? Not so much. Have a good eye and great aim? 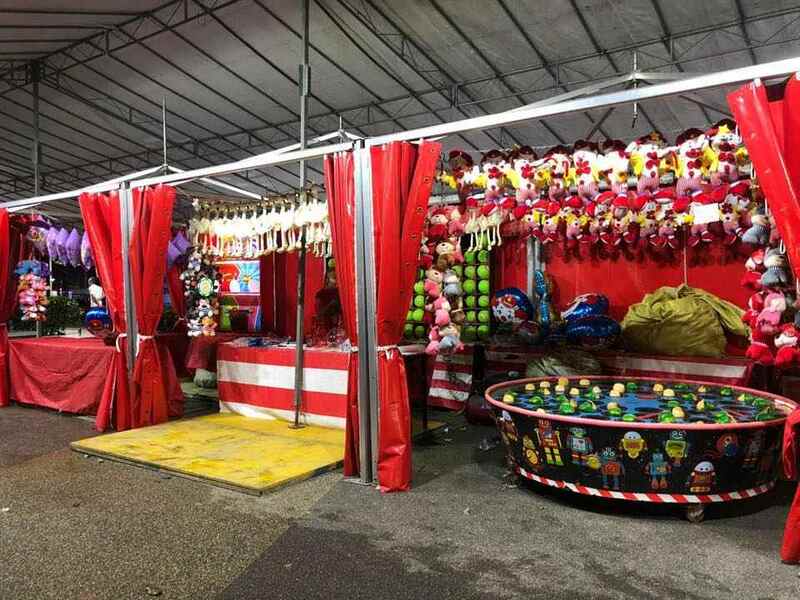 Check out the carnival game booths that offer tons of adorable plushies as prizes if you can pop the balloons on display. Those who suffer from a lack of hand-eye coordination can head over to the vending machines by Kick Street instead. 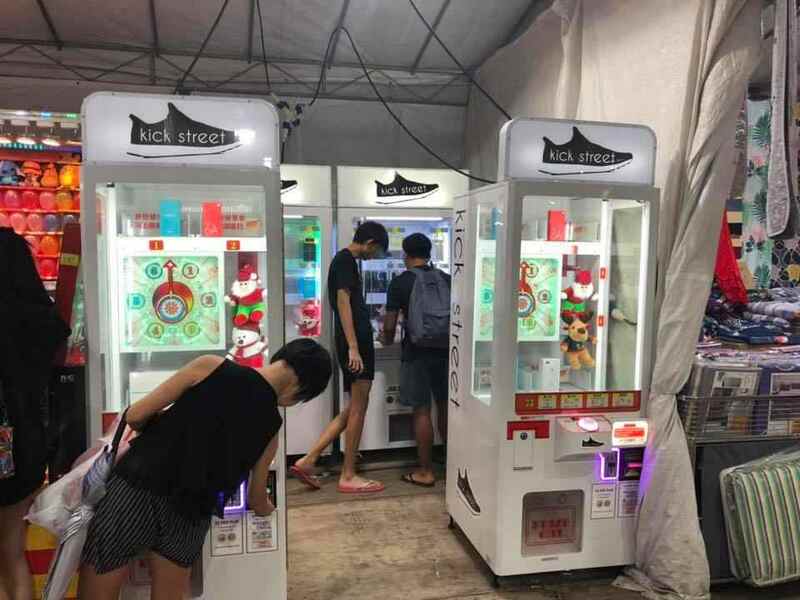 All you need is luck and 2 dollar-coins to stand a chance to win some cool new kicks. 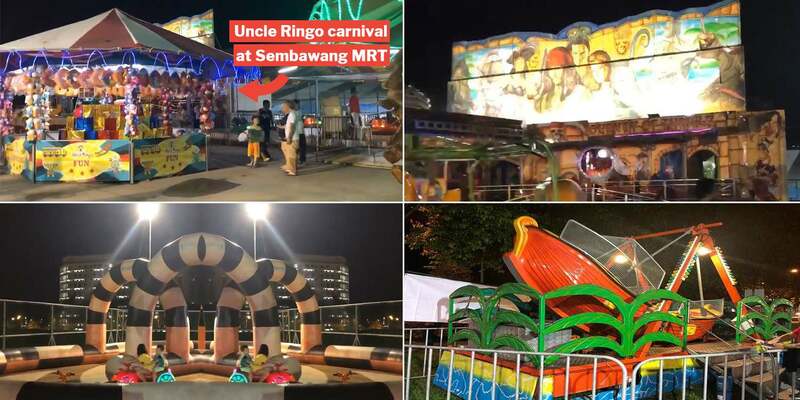 For a fun night out with the family this Christmas, without burning too much of a hole in your pocket, head on over to the Uncle Ringo Fun Fair just opposite Sun Plaza. 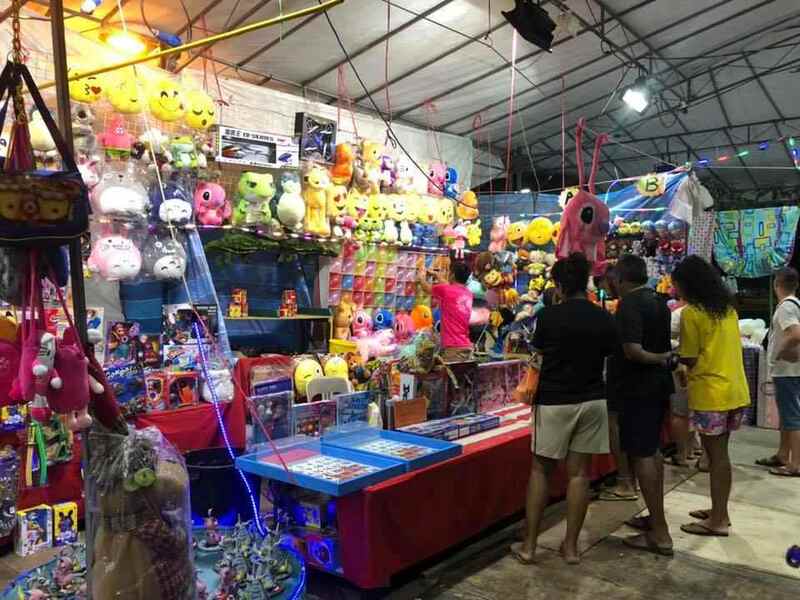 Entry to the pasar malam and carnival is absolutely free, but the rides and games are on a pay-to-play basis. Our only question is, when is this coming to Yishun too? 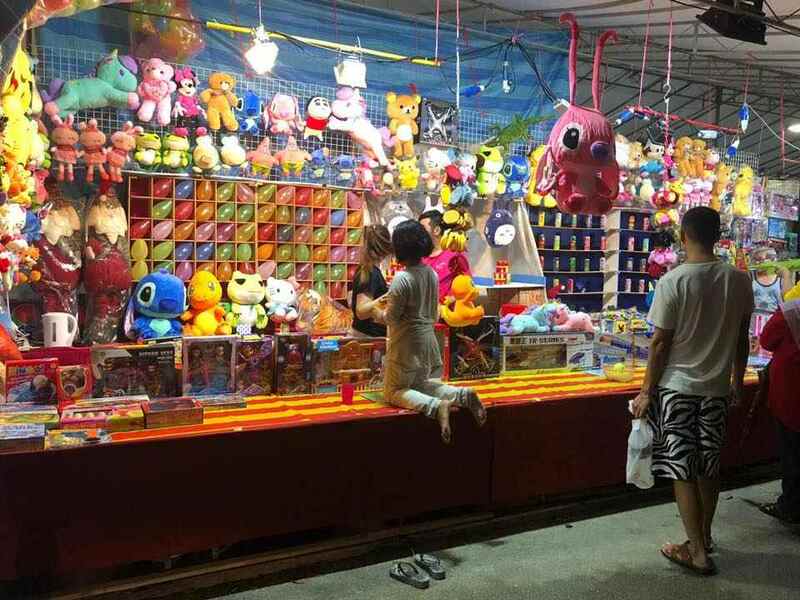 Featured image from Singapore Night Bazaar.